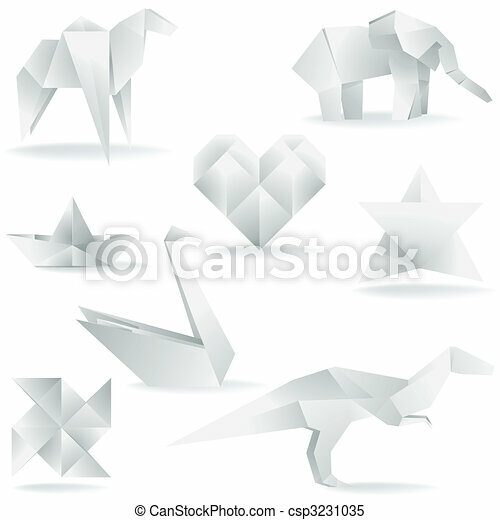 Various origami creations. A collection of vector origami elements. A collection of vector origami elements.